This is a low profile wideback chair with a generous seat and good lumbar support which is remarkably comfortable. The seat is available in various leather or suede finishes aithough a customers own material can be used. 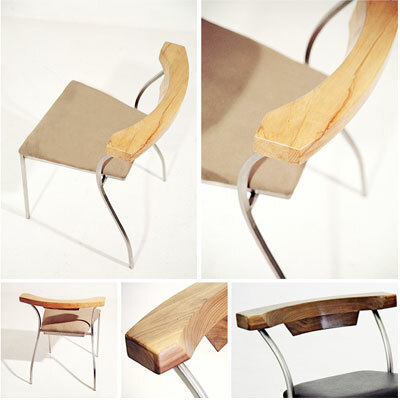 Solid wood is used for the wide backrest and there is a choice from variuos timbers. The light elegant design of this chair makes it suitable for both home and office use.